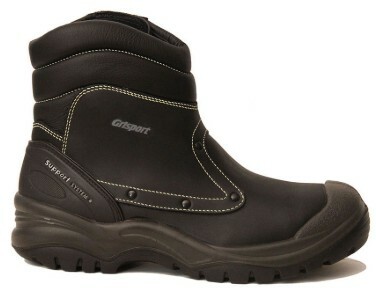 Specifically designed by Grisport for Welders. Kevlar stitching and a wide Velcro closure for easy on/off. 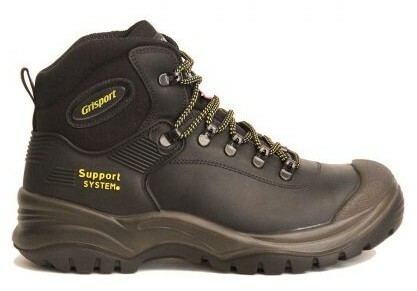 With a steel toe cap and non-metallic midsole, this boot is light-weight, comfortable and flexible and will withstand a tough work environment. A lightweight shoe featuring a breathable lining to keep your feet comfortable all day. The boa-quick release system allows quick on/off when entering homes etc. Simply turn to tighten for all-day comfort. Micro-adjustments can be made while you work, without needing to remove gloves. Like the other boots in the Vibram series, the composite plate provides added flexibility with a sporty look, yet still offering the same safety features and comfort.